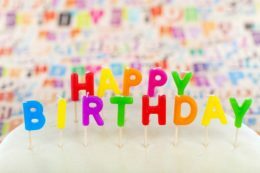 Last year I wrote about my son’s sixteenth birthday and how it was bitter sweet. This year, not so much. It’s not bitter. It’s not sweet. It’s seventeen. Seventeen is the one before he is considered an adult. I cannot even believe it! Today, I learned something about these birthdays: sometimes a ritual is confining. I have written about having a ritual with my family to remember him and celebrate him on his birthday. It’s become increasingly important as my children grow to let them know and explore how they feel about having an adopted brother. I call it open parenting. They are privy to the big ‘secrets’ of my life. Having a sweet treat and singing happy birthday to him along with a prayer for him from each of us has been our thing. It has helped me honor his day and include the children I parent in that. I have been working hard to help them know and have a safe place to talk about it. Anyway, this year there was no ritual. My husband had to be in Tianjin for work and so, with the help of some new and amazing friends, I spent the day alone. I didn’t talk to anyone, save a few people who texted me because they knew. If you know me at all, you know I don’t like people. I can’t help it. I just don’t. It’s not them; it’s me. And honestly, it’s because I know that I have the ability to hurt people deeply. When I meet new people, I think, no, please, you don’t want any part of this. Especially on March 10th…So, being alone was such a relief. There was no danger of snapping at my kids without my hubbs there to help. It may sound dramatic, but think about it. I relive the events of his birthday throughout the day. Usually, at one (or more) points in the day, I weep. I also craft a carefully-worded message to him and his parents. I look at the pictures I have of him from then and now. I remember. I regret. I cherish. I hope. It is emotionally exhausting, which is physically exhausting. And I usually do my ritual with my family after that. This year, I just couldn’t. This birthday, with the massive amount of loss I have suffered over the last year, I had the opportunity to grieve in private, in my own way, without forcing anything to happen. This year I haven’t had the mental capacity to do anything more than survive the day. This morning I thought, at the end of the day if can write about this, I won. Friends, here in China, it’s the end of the day, and I have a glass of red wine. So, here’s to all the birthmoms who survive the hard days, and here’s to my firstborn son, who is much taller than me now, but will never outgrow my love for him. Cheers! Absolutely beautiful! You reached right down into my heart. Thank you for the treasure of your heart.